The Community Café has now become a constant fixture on a Friday lunchtime in De Beauvoir. Taking place in The Crypt at St Peter’s De Beauvoir the café provides affordable (free or by donation to those without means) meals between 12 and 2.30pm each Friday during term time. 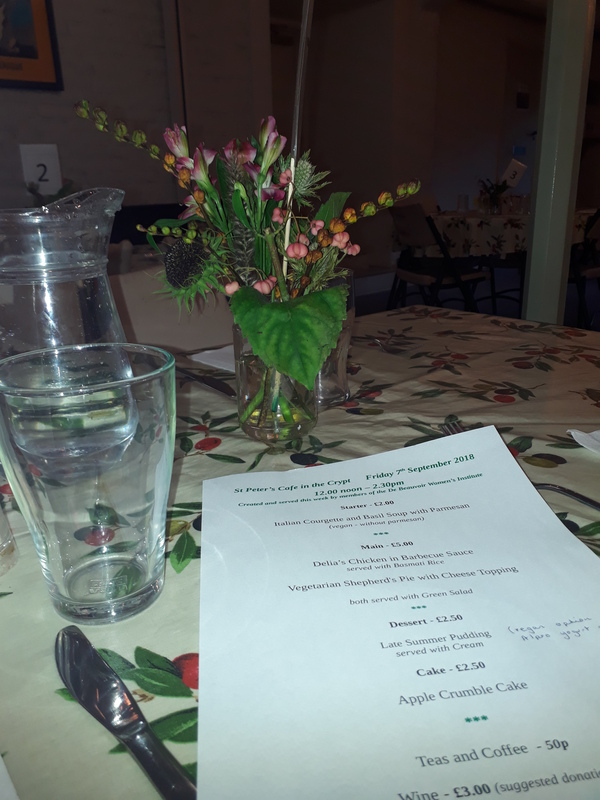 It is a regular community hub for locals who meet for a chat and a catch up every Friday, for employees of local businesses who often come for a relaxing three course lunch, and for some more isolated members of our community the opportunity to get together and have a hot, home cooked hot meal. The meals are cooked and served by local volunteers and the profits currently go to support local charities. 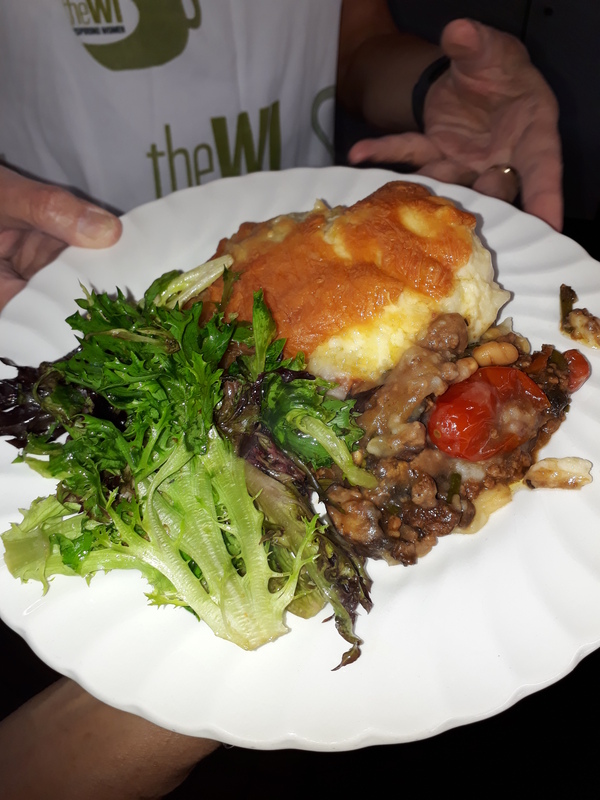 De Beauvoir WI takes a monthly turn in cooking and serving a three course meal as part of a rota, although a number of our members also contribute to other weeks, baking cakes or making a main course or soup. 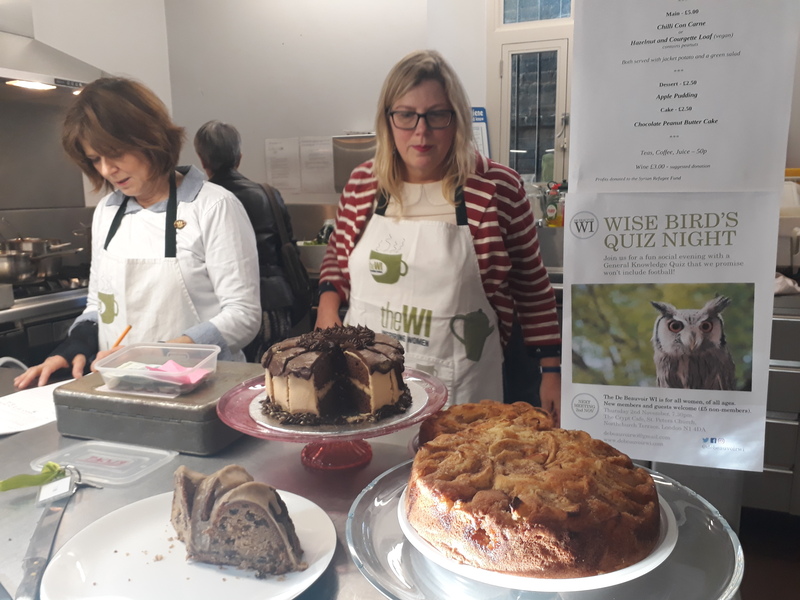 The menu is usually a soup (often Vegan), a meat main and vegetarian main with vegetables or salad, a dessert and a cake option, plus tea, coffee and for a donation, you can even have a glass of wine. 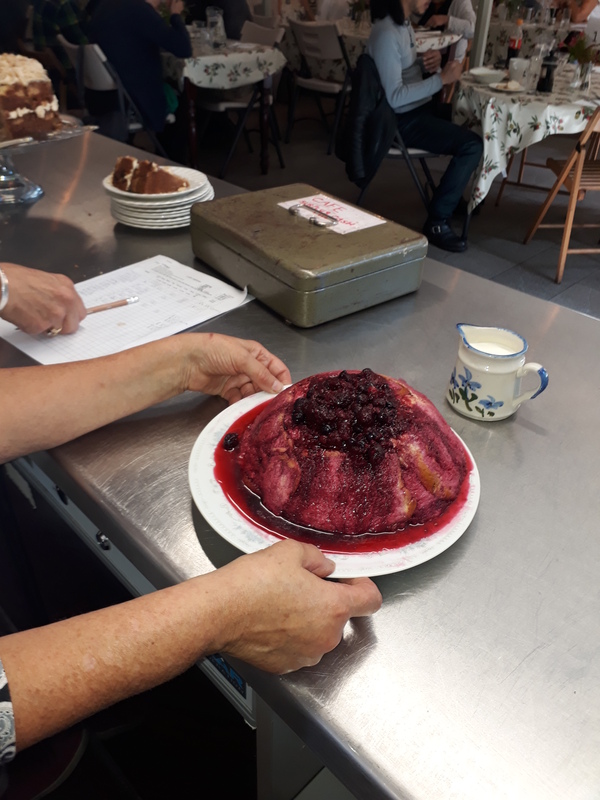 We usually run a team of five of six people each time and roles include taking orders, dishing up, serving at table and of course, the inevitable setting up and clearing away and washing up at the end. All the volunteers are rewarded at end of the shift with a hot meal and a chance to sit down and catch up over delicious, home cooked food. If you would like to get involved do let us know by emailing at the usual address. 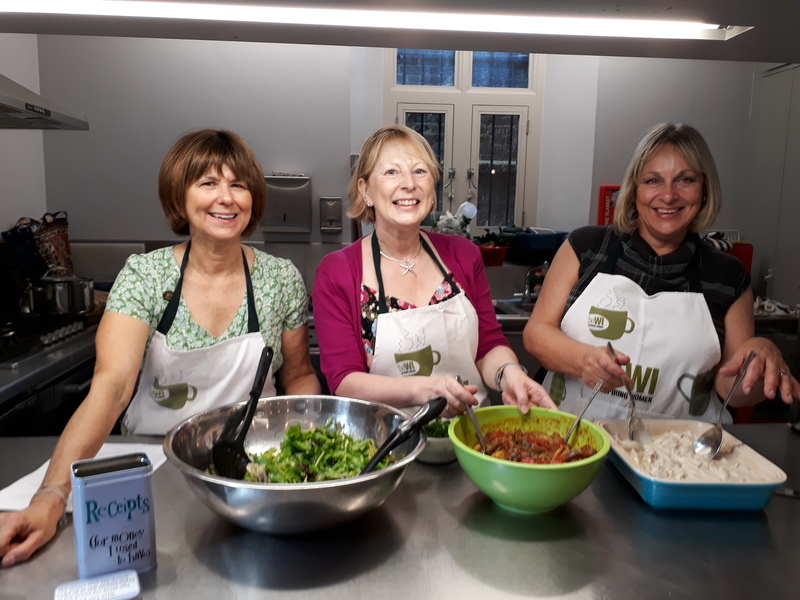 You don’t have to be able to cook, we always need volunteers to help, and if you are not available to help but would like to contribute you could bake a cake, or make a batch of soup or a main course and we can collect or you can drop off the night before. We offer expenses for the ingredients plus 10% for gas/electricity use and you would be reimbursed on the day of the café when you drop off your dish. The Community Café was set up by a wonderful local resident, Judith Hale, who, for a number of years also ran the homeless shelter at St Peter’s over the winter months. She wanted to create a place where people could come together, which also offered a hot, home cooked meal at low cost, or if individuals were on low income, or homeless or on benefits, for free or minimal donation. At first she had very few customers, 12 or 15 at the most. However, by the time she left, 3 years later, she was cooking for 50 to 60 people every week, many of whom were regulars. She cooked all the food herself at home then ran the cafe with help from Rachel, Andrew and Mary who joined her on the day to serve, wash up and clear away. In May 2016 Judith and her husband moved to Italy and for a time there was a possibility that the café would close. 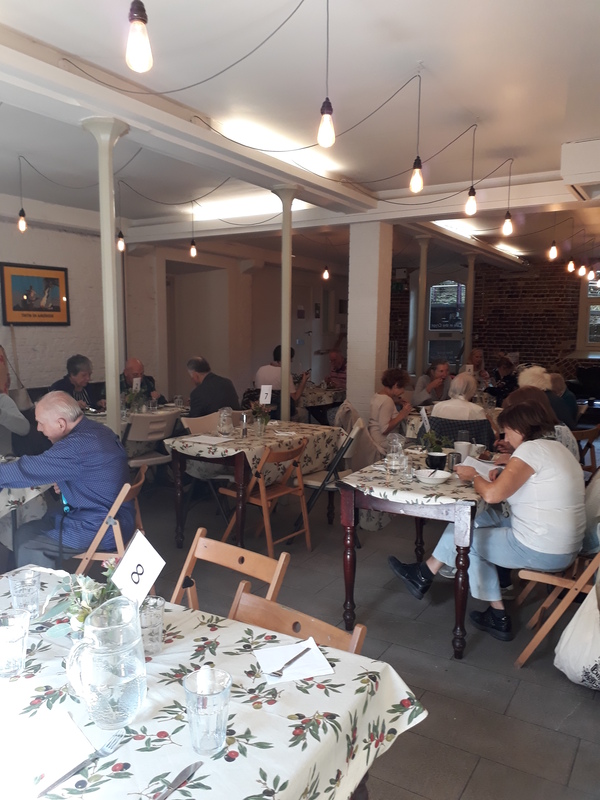 A number of local residents who had enjoyed eating at the café over the years got together to see if there was any way the café could remain open and after discussion with the vicar of St Peter’s a new version of the café opened in September 2016. 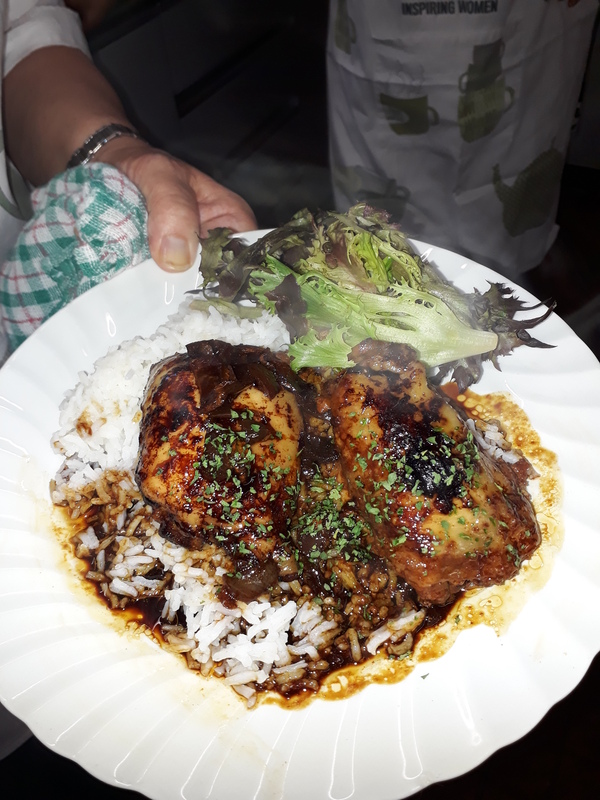 Groups of local people combined their cooking skills and their time, and now offer a three course meal every Friday in term time. 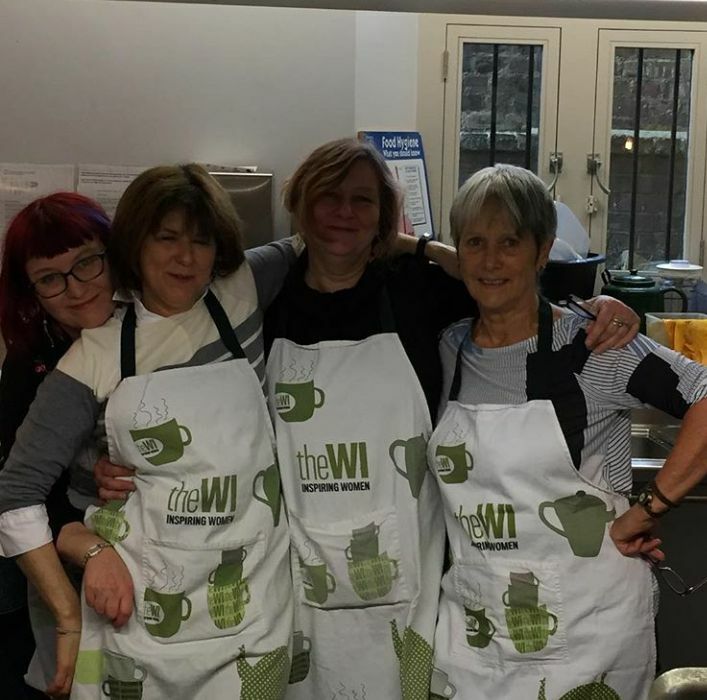 De Beauvoir WI is one of the groups that regularly hosts the café once a month.